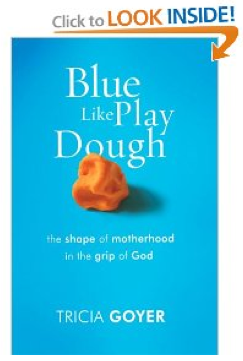 Blue Like Play Dough — I loved Tricia’s candor in this book on motherhood. She doesn’t pretend to have it altogether or to have it all figured out, but just shares encouragement from her own journey from her years as a young single mom to now being a mom of three teens. You’ll be blessed, inspired, challenged, and encouraged through her stories and insights. Try Giving Yourself Away — My mom picked up this book at a thrift store a number of months ago and loaned it to me awhile back. I finally had a chance to read it yesterday as I was flying back from VA and was so motivated to look for and take advantage of opportunities to bless others in simple, practical ways. Just taking a few minutes to drop an email or pick up the phone or say an encouraging word to someone can often mean a great deal–and you’ll likely find that you’re blessed in seeking to be a blessing! 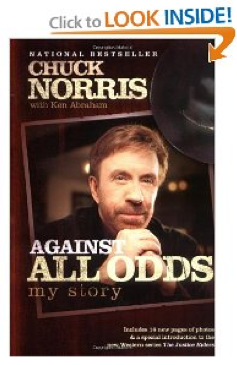 Against All Odds — While I thought the play-by-plays of martial arts competitions got a little monotonous, overall, this book was an interesting and encouraging read. Chuck has experienced many, many setbacks in life and, instead of being discouraged and disheartened, he’s turned them into comebacks. That is one of my favorites by Tricia!!! It was so encouraging!! Here was what I read this week! I read a bunch of Montana homesteading books!!! What?! Play by plays of martial art competitions was monotonous?! Sounds thrilling! Or maybe not. 😉 Chuck Norris does not go hunting. That implies the possibility of failure. Chuck Norris goes killing. Sorry, couldn’t resist. I recently read Through My Eyes. I was glad to have persevered through it. There were some good moments within the book but a lot of football lingo and plays. I am reading right now The Meaning of Marriage by Timothy Kellor and I love it! I suggested to my husband we buy a copy for each of our children. I just wanted to chime in (since you mentioned “on my way back from VA” in this post) and say that I loved your interview on 700 club! I know you were nervous as all get out but you do SO well in front of the camera and you were very composed and spoke eloquently! WAY TO GO! I know your husband, your friends, and your family must be so proud of you too! Congratulations– as they said “You ARE an inspiration!” Thanks for continuing to make time for all of us here even when you’re being pulled in so many directions right now. I just finished “Give Them Grace” – the review is on my blog. Keep the book reviews coming! I am always looking for my next book! I recently read Letters From a Martyred Christian by H.L. Hussmann, and it was amazing. Challenging, convicting, encouraging, entertaining all wrapped up in one small book. I laughed and cried and thought as I read … thought a lot. If anyone is looking for some thought-provoking fiction or a good read for a book discussion group, this is it. 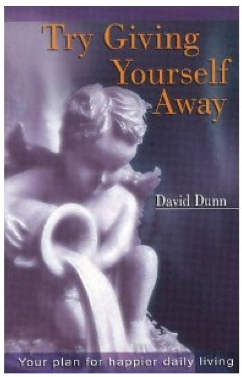 It’s on Amazon and is free for Kindle for Prime members. I really can’t recommend this book highly enough. I just read “the Joy of Less”by Francine Jay and thoroughly enjoyed it. It is very realistic about decluttering and being a minimalist. I liked that it took into account everyone’s individuality – don’t just throw stuff away but use it and enjoy it. I just finished “Organized Simplicity” and want to implement a few things into our family from it. Right now I am almost done “Enough”. “Enough” is such a small simple book to read, but it is packed full of great reminders of just how little we really need, and just what we were intended to do with our blessings. I love reading and am so excited to be making more time for it this year!